Sports leaders from Whickham Comprehensive are leading our PE sessions this half term. 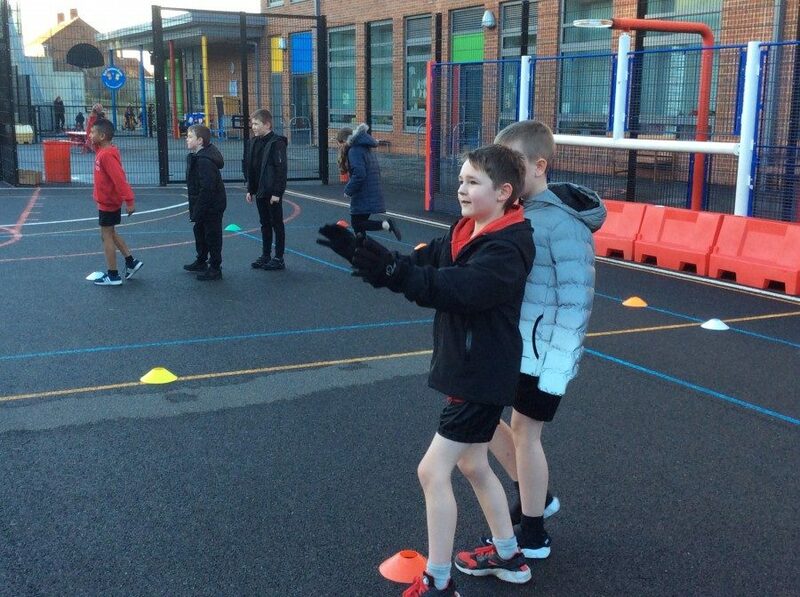 We soon warmed up then practise throwing and catching skills and at speed and with accuracy. Playing games involving defending enabled us to develop our skills playing in a team.